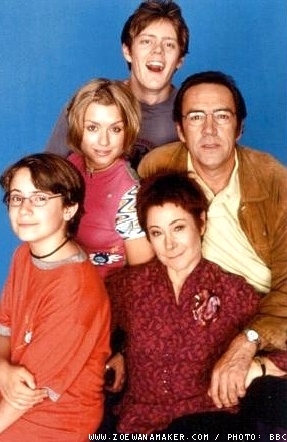 A sitcom created and partly written by Fred Barron; scriptwriters also include Jim Armogida, Steve Armogida, Ian Brown, James Hendrie, Andrea Solomons, and others. Between 2000 and 2011, eleven series were produced by BBC Television, DLT Entertainment, and Rude Boy Productions. 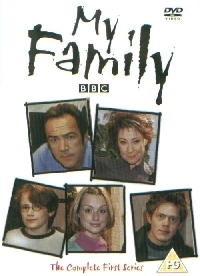 The first episode was broadcast on 19 September 2000 (BBC1). Ben Harper is a dentist who wishes he was anything but, especially as his dental assistants seem to come from the local lunatic asylum. At work, and while contending with the likes of embittered divorcees and Hitler impersonators, he struggles to remain calm in the face of constant badgering from fellow dentist Roger Bailey. Ben's working life is simple in comparison to the chaos waiting for him when he arrives home, though. Despite being married to the ultra optimistic Susan, he seems incapable of looking on the bright side, especially because the couple's children are a constant source of stress and worry. Having taken what appears to be a permanent gap year, eldest son Nick thinks his dad works so he doesn't have to. If Janey demands any more money, Ben will need to re-mortgage the house. Youngest son Michael may well be hacking his way into the international stock market. And grandson Kenzo, the newest addition to the Harper household, is quickly learning how to outwit them all! Creator Fred Barron has enjoyed great success with TV shows in the USA, but felt My Family was better-suited to a UK audience. The series is unusual among British comedies as it uses the 'round-table' method of scriptwriting, which was developed in the US. Lines are agreed upon by a group of writers, ensuring that only the best jokes make it into the final draft of each script. 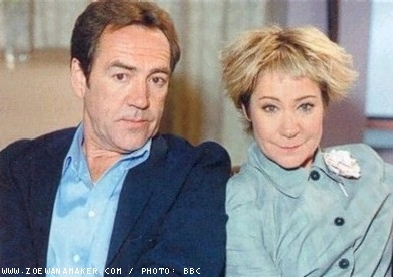 Thanks to a strong team of scriptwriters and talented cast, lead by Zoe and Robert Lindsay, My Family's first series became the BBC's biggest sitcom success in five years. Although the show has not always found favour with television critics, it was an instant success with audiences: each episode is watched by up to 11 million viewers in the UK alone, making it one of the country's most popular programmes. It is also one of the longest running sitcoms, with over 100 episodes to its name. According to a Radio Times readers' survey, the Harpers are our seventh favourite TV family.